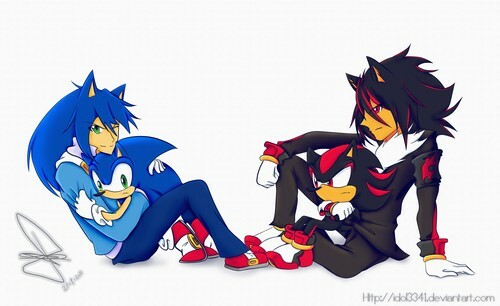 Sonic and Shadow. .. HD Wallpaper and background images in the Nhím Sonic club tagged: sonic hedgehog sega. OMG that is so adorable!!!!!!!!!!!!!!!!! !